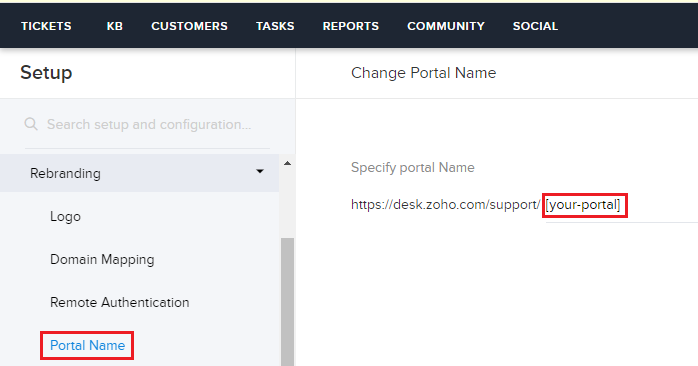 Integrating ZohoSupport will provide smooth flow of information improving support capability also will Attach chats transcripts to your ZOHO contacts & tickets. 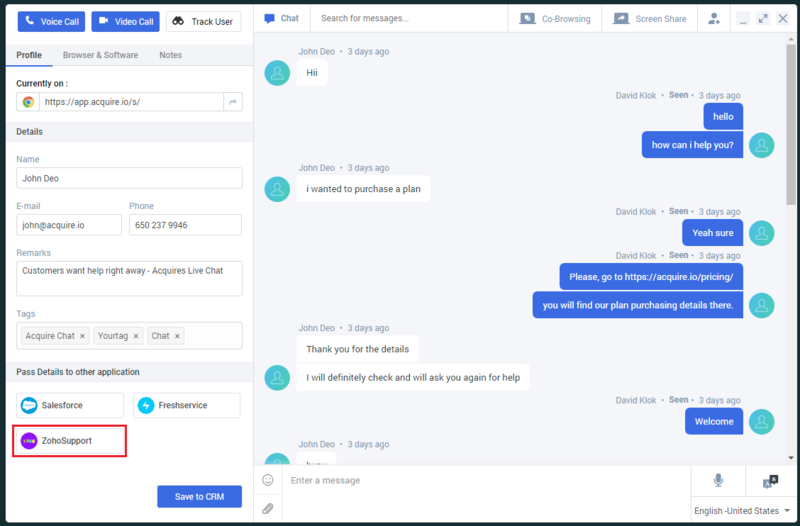 It helps sales team maintaining smooth customer relations by keeping track of them. Get information about the web visitors which is pulled from the CRM automatically. Contact lead and potential information is directly accessed from the CRM. 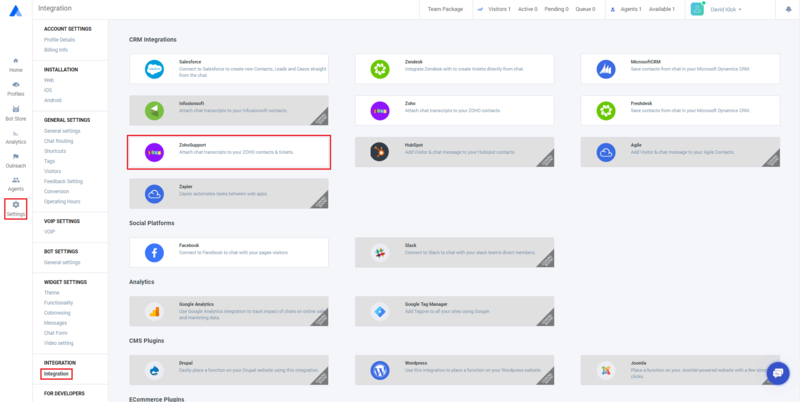 In the Acquire panel https://app.acquire.io, go to Settings > Integrations and click on the to configured with Zoho desk. 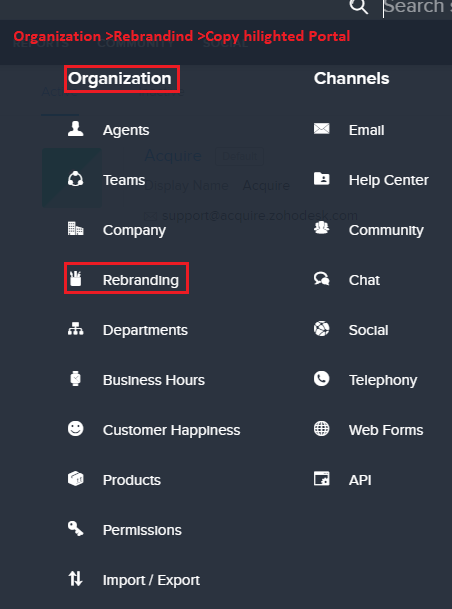 Return to your Acquire panel and go to the Zoho Desk in the Integrations section. 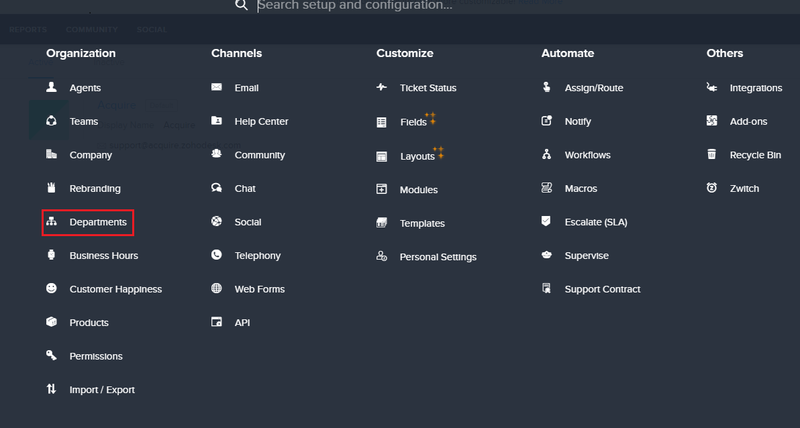 Provide your portal, department, and the API key from above into the configuration settings and click the connect button to configure.